I caught up with filmmaker K Rajagopal over a quick coffee in the week before the 4th Singapore Short Films Awards present him with an Honorary Award for his contribution to the local film stable and the depth of local stories in our collective memories. I first knew Raja when I became his line producer for The Lucky Seven Project in 2007. He spared no time in giving me an introduction to his films and what he seeks in his films. They are very personal journeys. Many publications have written about Rajagopal and his films. However, I feel it is almost hard to academically discuss his films. I would rather read the man than read his designs. Here is my 10 minutes with Raja and a rare glimpse of a younger him. Photograph by Wah. 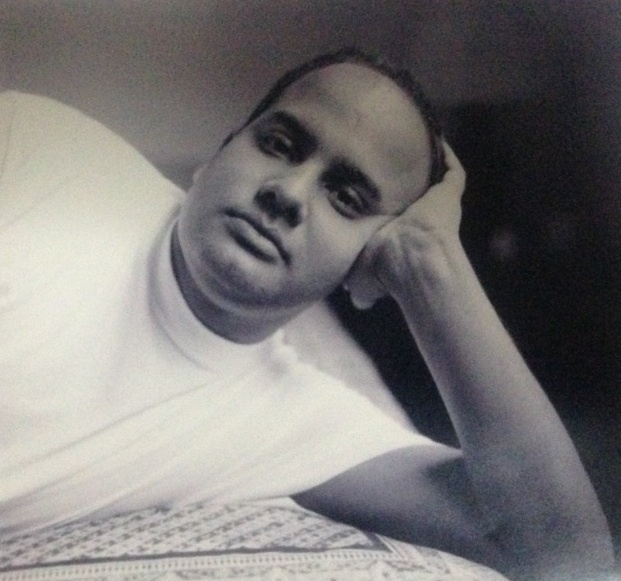 A younger Rajagopal poses for this photo in New York in 1992. Jeremy (J): A common thread I noticed in your films is characters longing for gratification to fill some void in their lives. Some people say filmmakers make films that mirror their own lives. Is this true? What's that void in your life? Rajagopal (R): I am full of memories. Both good and bad. Sometimes i feel it is an overload and I should just drop the baggage and shake it all off. Perhaps it is true that what i feel or experience in real life is some what reflected through the characters or images in my films. Perhaps there is a void which I am still trying to fill. I am still searching. Not sure what it is. J: I know u are embarking on your feature film this year. In some way, it's your first feature, how is it different from the previous short films you have made? Anything you would be trying that u have not tried before? R: It is going to be different because firstly I would need a lot more time and it is a different genre. The story telling in short films is definitely different from a feature length film. It will not be completely experimental like some of my short films. It is a simple narrative. J: Name me 3 persons (anyone from singapore to Hollywood) you would like to cast in your films and what would u make them do in your films? R: Haha ! There are many actors I would like to work with like Javier Bardem ! but I am quite realistic so I will cast an actor who will suite the role and he will be from Singapore. Also, I find average people on the streets very interesting and often like to work with non-actors. J: Many people have done retrospectives, feature interviews, veteran-worshipping features of you. Take away the worshipping, what would u prefer to be known for? R: I would like to be honest as far as possible when I make my films. I strive towards that. I am not sure. Read more about K Rajagopal and a summary of his works in the 4th Singapore Short Films Awards website.